The site is an existing lot in a dense neighborhood of Lexington with a quiet and seclude back yard. The house is a year round home for a family of five. 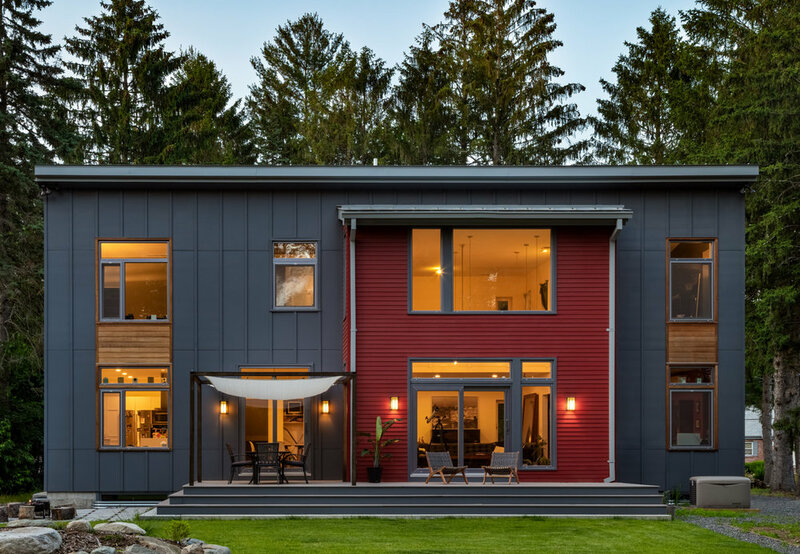 Energy modeling was used extensively to design the house to be a cost effective approach to near net energy zero. The new structure is a simple 2 story home with connector and garage that maximizes solar exposure and living space.